The Blue Rock fire tower was constructed in 1937. 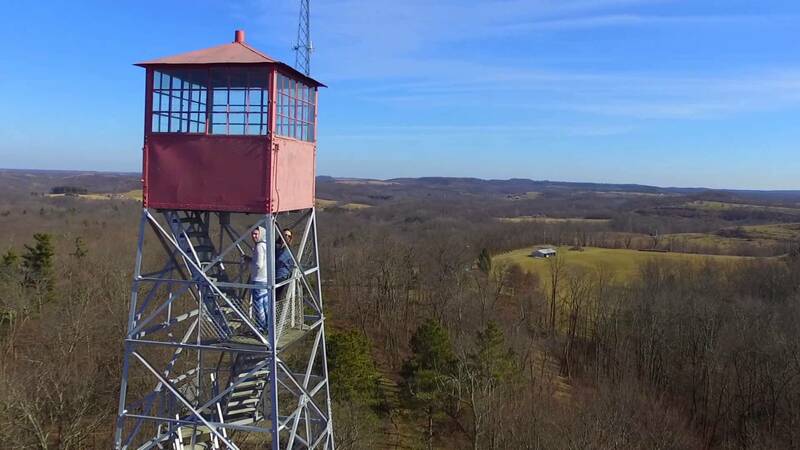 It is the last remaining 100 foot fire tower in the state of Ohio, and the public may climb it. It is an Aermotor tower with a 7 x 7 metal cab. Aermotor is a company that has been building windmills since 1888, then they diversified to include the design and production of the most of the nation’s forest observation towers starting in 1926. Visit the Blue Rock State Forest and climb the tower – the view is breathtaking.